Happy last week of Farm Share for the year! Thank you all for your support this season and I hope you have enjoyed your shares. This cold weather is making me so happy and excited for the upcoming holidays. My personal favorite holiday is the Winter Solstice, December 21st, which just so happens to be the last day to complete our member feedback survey. I hope that everyone is able to provide us with your feedback, as it is crucial for our planning for next year. The survey link is below and will only take 5-10 minutes and will help us continue to improve our service and to build strong relationships. "Beautiful Briny Sea is an artisan dry goods company based in Atlanta, Georgia. Our small-batch salt blends, sugars, and other culinary products are made with integrity, sustainability and a whole lot of love. Help Global Growers invest in farmer success. Our goal is to raise $15,000 by the end of the year which will increase our capacity to sell $50,000 more produce on behalf of our partner farmers in 2018. Every dollar we receive translates into more than three dollars in new sales with Global Growers partner farmers. Grounds for Empowerment provides women specialty coffee farmers the market connections and business know-how to enable them to reach their full economic potential. Their three-year incubator program supports them as they transform promising coffee farms into prosperous small businesses. If you are interested in supporting Grounds for Empowerment, while drinking amazing coffee, and are not already receiving a coffee share, you can do so by purchasing their coffee through our store or going to the Grounds for Empowerment website and supporting the women another way. It is officially December, which seems crazy, but it is truly the most wonderful time of the year, filled with kale, beets, and biscuits! Don't forget to check out our member store if you need any last minute gifts like, hot sauce, coffee, and soap. You will be receiving an email from me this week with a link to our end of the year member survey. The Global Growers Farm Share program is designed to be so much more than a transactional relationship with customers. We are working together to change the food system, and as a Farm Share member, we rely on your feedback to improve our organization. I am asking that you take 5 minutes out of your day to provide us with your insight, so we can continue to build strong relationships with our members. "Who doesn't love a delicious, melt-in-your-mouth Cheddar Garlic Biscuit? But did you know, the leading brand of Cheddar Garlic biscuits has over 25 ingredients with at least 11 ingredients are unfamiliar household names. It also contains soy which is a well known GMO "food". I hope that everyone had a lovely Thanksgiving and ate delicious food. The season is beginning to wind down, but we still have a few more bountiful weeks to go! This fall weather has been beautiful, and we are hoping you are enjoying the variety of flavors. Thank you for your continued support of Global Growers! 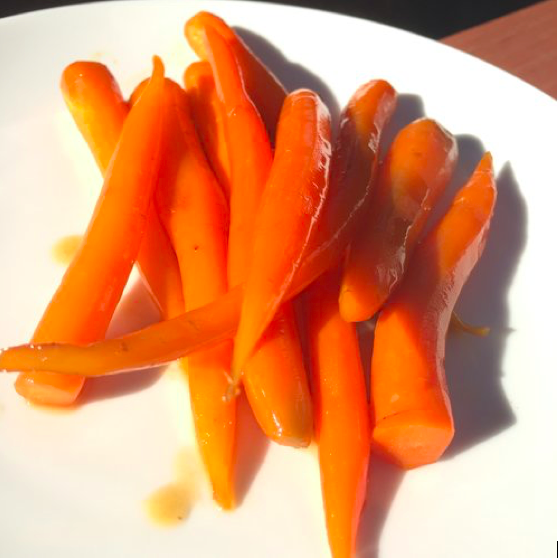 This is a simple side when you have beautiful young carrots. Honestly, it's still good even if the carrots aren't beautiful but it looks better on the plate if they are. Ever wondered where your produce comes from each week? Well on Sunday, November 12th you will get a chance to see the farm where most of your produce is grown!! We wanted to give all our members the opportunity to see first-hand how important your support is. Please join us on at our Bamboo Creek Farm on Sunday, November 12th, from 1pm-3pm for light snacks and tours of the farm. If you are interested and have not yet RSVPed, please do so by tomorrow November 11, by emailing sales@globalgrowers.org. I hope to see many of you there! Just as a reminder there will be no pick up the week of Thanksgiving. We hope you all enjoy this amazing holiday with your friends and families and eat delicious meals. If you need help coming up with what to bring to dinner this year, check out the Global Growers recipe page for some ideas! Do not forget to purchase your Holiday Baskets before Thanksgiving!! Georgia Grinders, strives to create extraordinary products from simple, all natural ingredients. After all, it is Georgia Grinders belief that every culinary experience be savored and define the taste of health. Sourcing the highest quality, natural and Non-GMO ingredients, Georgia Grinders Premium Nut Butters are handcrafted in small batches to ensure quality, freshness and flavor in a facility that we own and operate in Atlanta, Georgia. 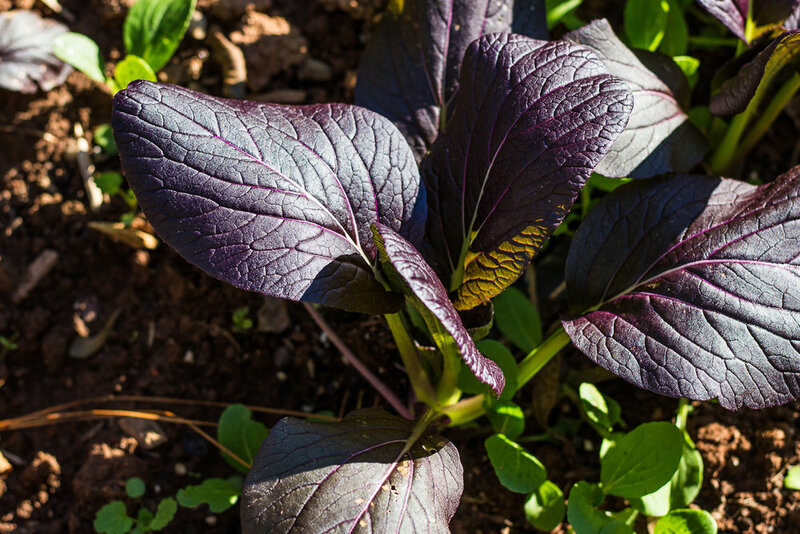 This makes a great side dish that can go with almost anything. It's easy to throw together for a holiday potluck or to round out your Thanksgiving table. 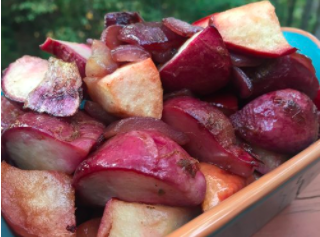 The roasted turnips are juicy and savory which is a great contrast to the sweetness of roasted apples. If you are someone who is notorious for procrastinating on your holiday shopping, like I am, then please read this carefully. 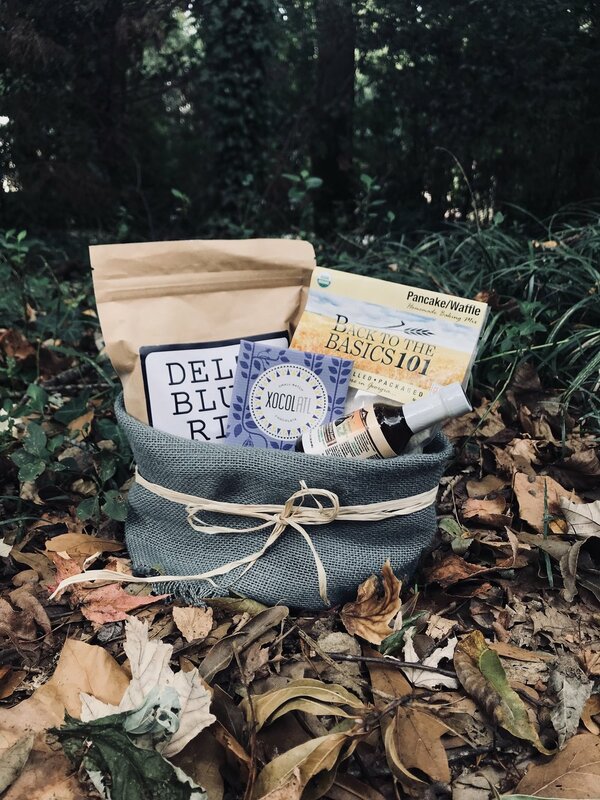 This holiday season the Global Growers staff are here to help you, we have developed a gift basket that is full of some of our favorite partner products and the new Global Growers sticker! You will be able to order these baskets in the online store, or at your pick-up site up until Thanksgiving. With the help of volunteers, the baskets will be assembled, and then ready for you to pick up the first week of December. The best part is that the proceeds from the baskets go to support increasing the number of community garden plots for new Americans in Clarkston. We are very excited for the up coming member event at the Bamboo Creek Farm on Sunday, November 12th, and we hope to see you all there! Storico Fresco has now fully morphed into a true Italian Alimentari e Ristorante that started in a basement in Atlanta. The dishes that come out of the Storico Fresco are local sourced, and all the pasta is homemade and delicious. Every morning most of us wake up and pour ourselves a delicious cup of hot black death, and life becomes instantly better. But when we are drinking the delicious cup of coffee do we ever ask, where did this come from? We here at Global Growers are no different and love our daily dose of coffee, but we have partnered with an organization who we believe models sustainable, ethical, and equitable practices, Grounds for Empowerment. Recently our Farm Manager, Todd, and Communications Manager, Desiree, got an opportunity to meet some of the women from Nicaragua who work for Grounds for Empowerment. They were inspired by these women's stories, which only further fuels our desire to support this organization. This spicy chili is the perfect compliment to roasted sweet potatoes. It's kind of like mashed potatoes and gravy but so much more flavorful and complex. This is a perfect meal for these chilly (pun intended) evenings. Nothing pairs better with the candy that you have taken from your children's Halloween stash then fresh Global Growers produce! 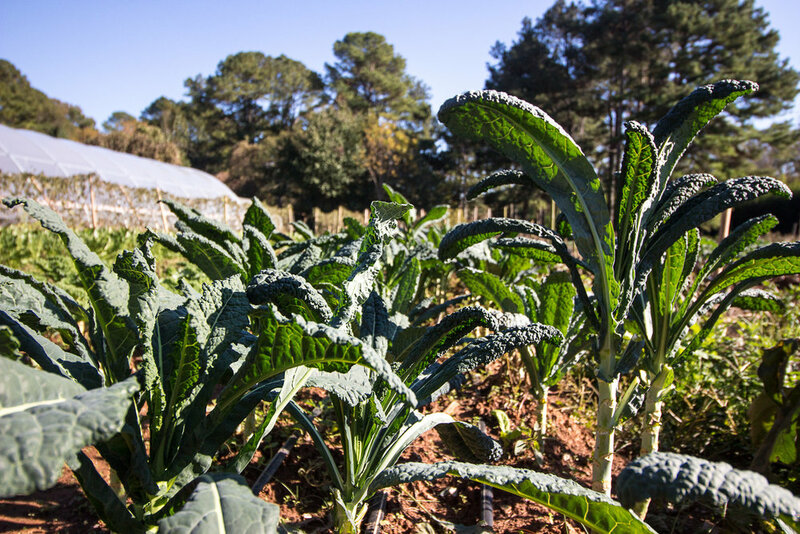 We hope to see you on November 12th, 2018 for the farm tour and mingle at our Bamboo Creek Farm in Stone Mountain. Make sure to RSVP to this member only event. Drop in at any time between 1-3pm for some light snacks, and a tour of our 15-acre farm site. Family members and extra guests are welcome. We hope you will join us to see first-hand the impact of your support! 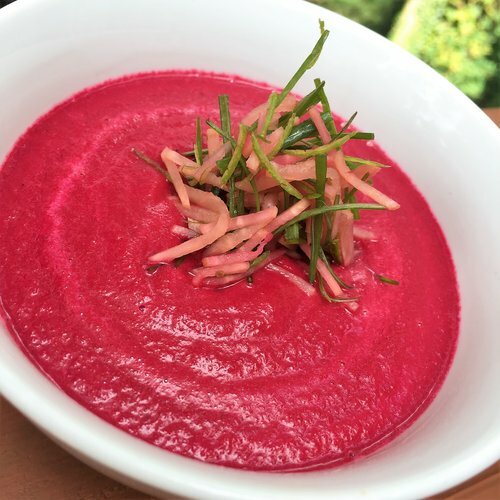 If you are out of new ideas about how to use your delicious beets, make sure to check out Matt's new recipe. Happy eating!! As oil production has expanded and I begin to understand a little more about the properties and uses of various oils I am filled with awe and wonder at the countless ways it can be used. Naturally tasty, nut and seed oils are necessary for balanced nutrition. They can be used in fuel, cleaners, soap, cosmetic products, and have medicinal uses as well. Our simple process, genuine care for your approval, and desire to keep it pure and fresh make Oliver Farm a natural choice for any pantry. A hearty soup that will thoroughly warm you up, this soup balances ginger and bird's eye chilies with sweet, earthy beets and rich, creamy coconut milk.